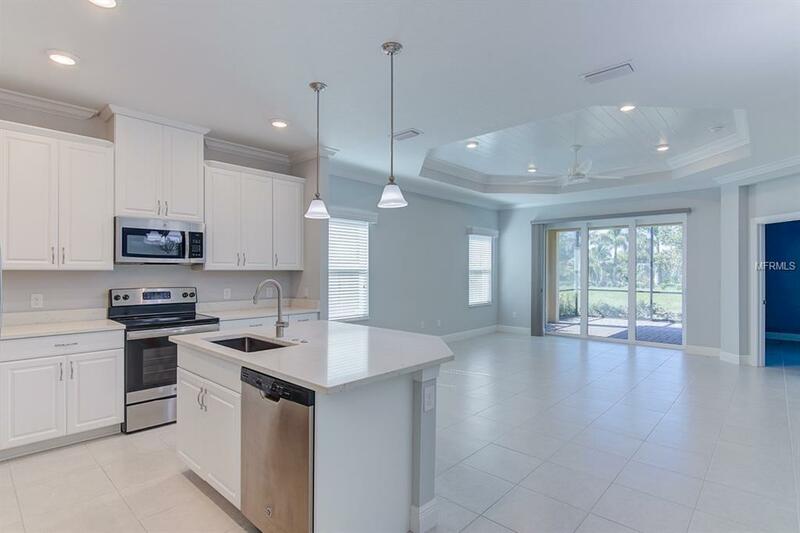 Welcome home to this low maintenance, almost new, 2 bedroom, 2 bathroom villa located in the highly sought after community of Mirabella at Village Green. 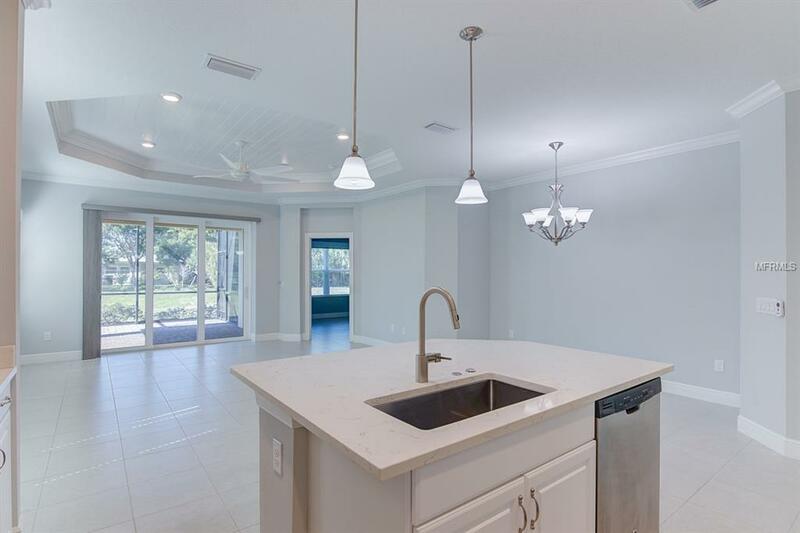 This move in ready home is full of premium builder upgrades including tall ceilings, upgraded light fixtures, crown molding, granite counter-tops, extra insulation, Trane a/c system impact hurricane windows, impact sliding glass door, tile floors throughout & ceiling fans in all rooms. The private 2 car garage is pre-plumbed for a sink & features painted epoxy style floors. 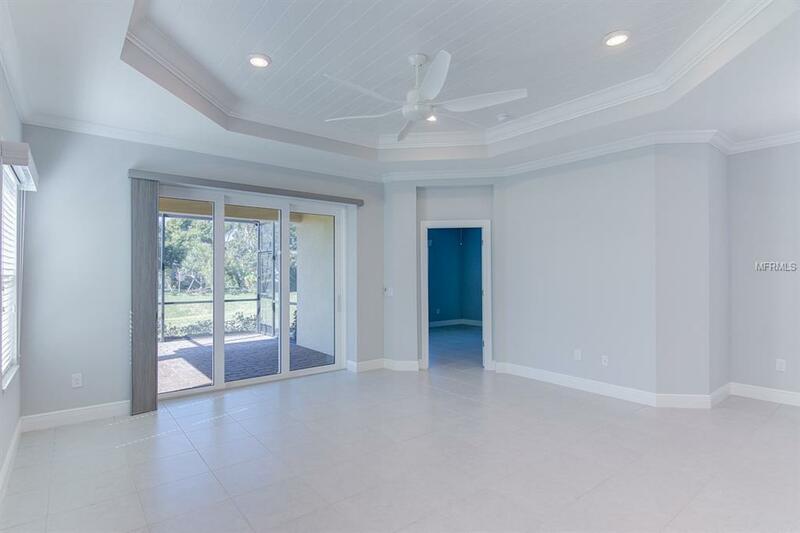 The spacious living room features a beautiful crown molded trey ceiling w/ beat board inlay, recessed lighting, custom lighted ceiling fan & impact sliding glass door w/ vertical cellular shades. The gourmet kitchen boasts recessed lighting, closet pantry, tall upgraded wood cabinets & island w/ storage & breakfast bar. The private master suite is made complete w/ a lighted ceiling fan, walk-in closet & extended closet. The luxurious master bath boasts upgraded lighting, walk-in shower & dual sink vanity. Relax on the extended covered & screened paver patio complete w/ a custom ceiling fan. The premier community of Mirabella is a gated & furnished with a new community center w/workout room, solar heated pool & spa, outdoor kitchen, dog park, pickle ball court & entertainment patios. 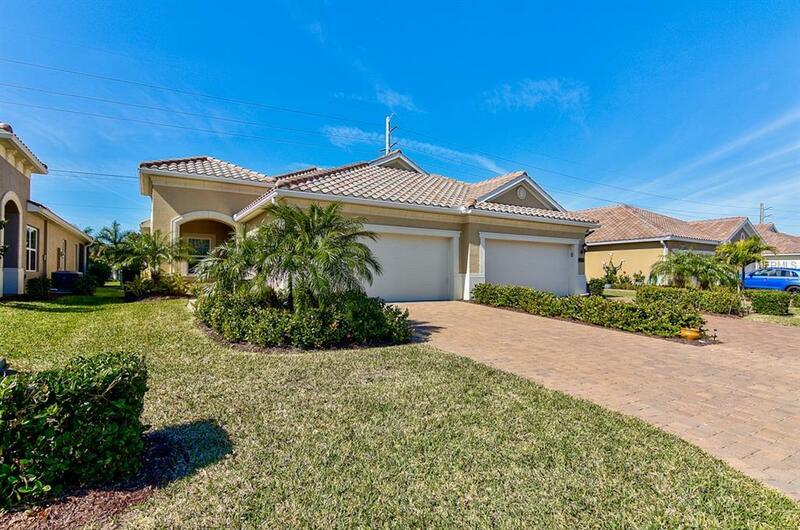 This beautiful villa is just minutes from great schools, dining, shopping & Anna Maria Island yet perfectly tucked away from the hustle & bustle. Call today to schedule your private showing.